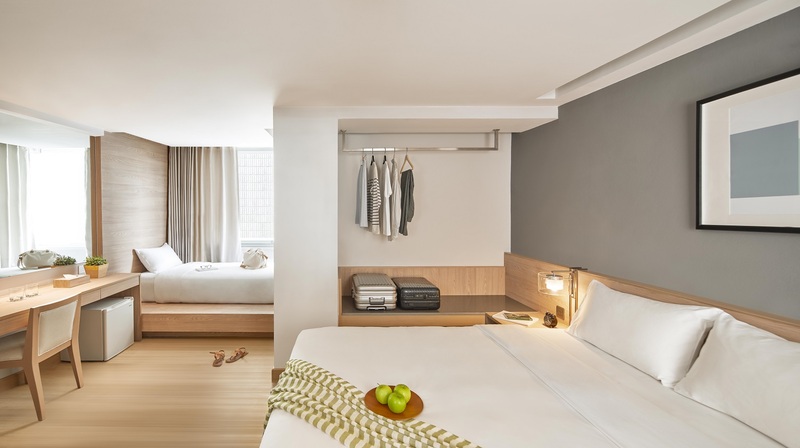 Following our recent refurbishment, we are delighted to offer a customer-centric approach to Thai hospitality and service, with luxurious touches of comfort that enhance your stay, at a great value that will please your pocketbook. 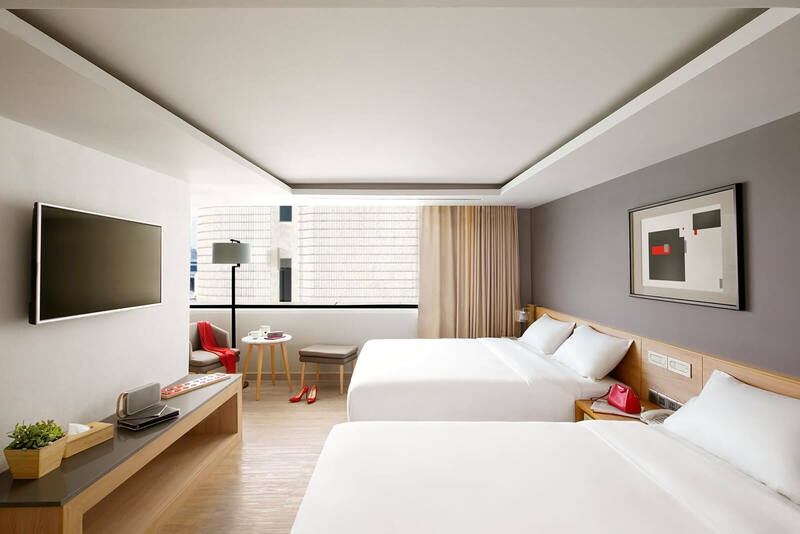 Stay right in between the charm of Bangkok's historic quarter and the exciting vibe of SE Asia's modern metropolis. Traveling in Bangkok is convenient with access to modern mass transit systems right out the door. Everything we do is aimed to making our guests feel happiness and comfort. 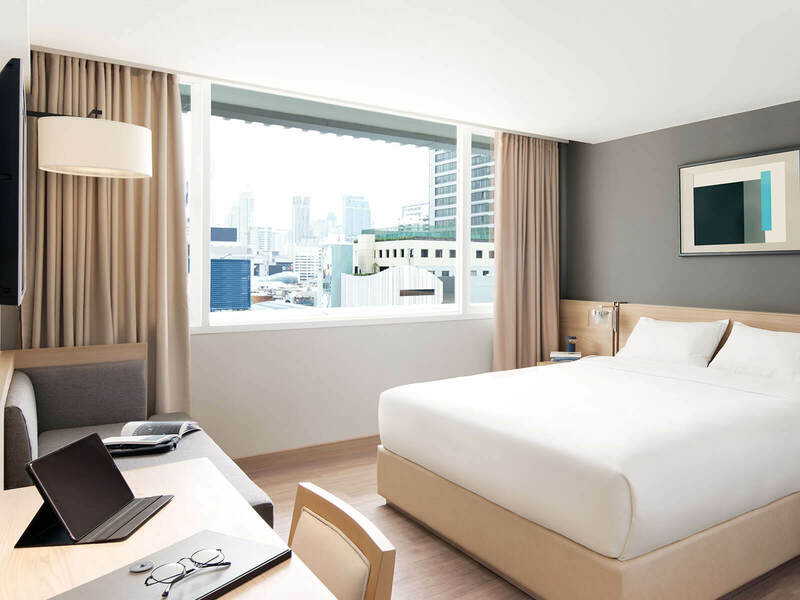 We offer the amenities and facilities you absolutely need during your time in Bangkok. ME room features 1 king-sized bed. Equipped with a couch, a working/vanity table and a bathtub, it’s the perfect type of room for a solo traveler or a couple. YOU&ME room is designed to accommodate 2 or 3 adults. Featured 1 queen-sized bed and 1 single bed, it’s a great option for friends or couples who prefer their own slumbering space. 3 does not need to feel crowded in our WE room. This intelligently designed room features 1 queen-sized bed and 1 single bed- the latter located in its own lovely corner. 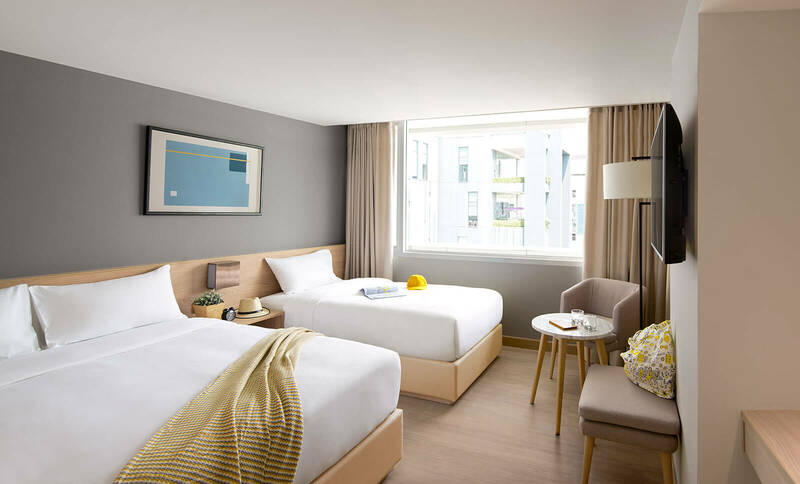 Featured 2 king-sized beds, 2 of US room is perfect for a group of 4 who want to stay close to one another without having to trade for long shower time. Here you will enjoy the privilege of 2 persons being able to take a shower at the same time as we provide a private shower room within the bathroom! What we offer is a safe, clean and comfortable environment in minimalist décor. Our service-minded staff attend to everyone’s individual requirements, and we make sure you have the right environment for the most important factors for everyone’s travels…a soothing shower and good night’s sleep.